After use a week. Good quality build but not user friendly and sometimes slowly. Complicated phone but onething, it's nokia . 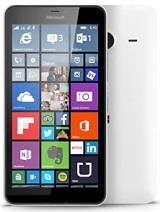 . .
its batter then nokia x. but according to price not extra feathers. any people agreed to me???? 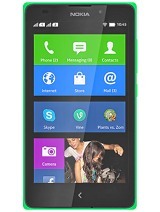 Is it possible to use google play store in nokia xl phone? Anonymous, 27 Dec 2014If your service provider supports it ,you can make video calls otherwise use skype. If you want a good smart phone bellow 10,000 and it should be android . Then dont wait buy nokia x,xl,x2. 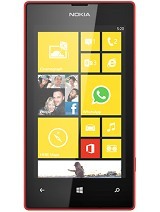 There are also good chances for windows phone from nokia . Give us software update once more nokia. 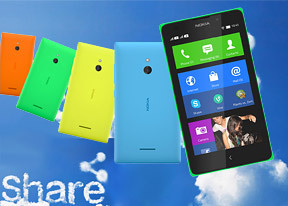 We need google sync like google contact that u gave for nokia x2. Thanx. Robi, 27 Dec 2014Most of the Nokil XL has display problem. Yes.. u r right. I am facing display problem within 6 months of purchase. One of Nokia Care centre agreed that huge sets of Nokia XL have display problem & requested me to visit other Nokia care as they have already deposited huge sets for the display problem & display units are not available with them for long time. Another Nokia Care directly refused me to provide warranty service after seeing the display problem by giving a very vague reason.